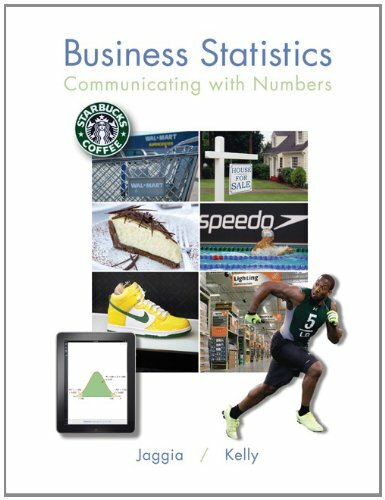 The first edition ofBusiness Statistics: Communicating with Numbersprovides a unique, innovative, and engaging learning experience for students studying Business Statistics. It is an intellectually stimulating, practical, and visually attractive textbook, from which students can learn and instructors can teach. Throughout the book, the authors have presented the material in an accessible way by using timely business applications to which students can relate. Although the text is application-oriented, it is also mathematically sound and uses notation that is generally accepted for the topic being covered. attendant, and an apple packer. John now lives with his wife, Judith Nadell, near Philadelphia. In addition to his wife and Philly sports teams, his passions include reading and turning on nonreaders to the pleasure and power of books. Through Townsend Press, his educational publishing company, he has developed the nonprofit Townsend Library, a collection of more than a hundred new and classic stories.